Krantz & Berman LLP -- founded in 1998 - is a unique and dynamic litigation boutique devoted to representing businesss and individuals in white-collar criminal matters, complex business litigation, employment litigation, regulatory enforcement actions (including SEC) and FINRA arbitrations. We also provide mediation services, particularly in the area of employment disputes. Our talented team of lawyers are seasoned trial attorneys, skilled negotiators and dedicated advocates. We bring to our cases a powerful combination of skill, experience, creativity, perseverance and compassion. We are privileged to represent a diverse group of clients including Fortune 500 and other public companies, financial institutions, insurers, small businesses, partnerships and individuals. We pride ourselves on providing personalized attention and advice designed to achieve our clients' objectives in the most efficient and cost-effective manner possible. We invite you to learn more about our law firm and individual attorneys by viewing our Firm Overview and Attorneys pages. Krantz & Berman LLP has a wealth of experience representing individuals and businesses in white-collar criminal and regulatory enforcement matters. Our lawyers are dedicated to representing and counseling our clients aggressively and effectively at every stage of a criminal or regulatory proceeding including investigation, indictment or complaint, plea negotiations, trial, sentencing and any necessary appeals. Experienced White-Collar Criminal Defense Attorneys The white-collar criminal defense attorneys at Krantz & Berman are all former federal prosecutors with extensive government experience. As former United States and Assistant United States Attorneys, we are familiar with how the government handles investigations and prosecutions, and bring that experience to bear in counseling and defending our clients. We also understand that criminal investigations and prosecutions, whether as a witness, subject or a target, are stressful proceedings with which most of our clients have had no prior experience. With a gentle hand, sound judgment, relentless determination and zealous advocacy, we represent our clients through every phase of criminal proceedings, including presentations designed to avoid arrest or indictment, trials, plea negotiations, sentencings and appeals. We represent clients involved in federal and state white-collar criminal investigations and cases arising out of a variety of financial crimes including: -Bank Fraud -Securities Fraud -Accounting Fraud -Insurance Fraud -Money Laundering -Tax Fraud -Sarbanes Oxley Violations -Insider Trading -Bid Rigging -Mail and Wire Fraud -Currency Transaction Violations -Antitrust Violations -Extortion -Bribery -Money Laundering -Obstruction of Justice -RICO Violations -Embezzlement -Perjury Our firm routinely handles criminal proceedings initiated by the United States Attorney for the Southern District of New York, the Eastern District of New York and the District of New Jersey as well as the New York County District Attorney and the Attorney General of the State of New York. Our firm has represented witnesses and targets in many of the recent high-profile criminal cases brought against public corporations, insurance companies, banks and mutual funds. Regulatory Enforcement Actions Krantz & Berman LLP regularly represents clients in proceedings and investigations brought by the Securities and Exchange Commission (SEC), the Financial Industry Regulatory Authority (FINRA) and the Federal Reserve. We have represented clients in a multitude of regulatory enforcement actions including allegations of: Insider Trading Accounting Fraud Securities Fraud Illegal Trading Practices Material Misrepresentation or Omission Our representation also extends to out-of-state clients who have regulatory enforcement matters pending in other jurisdictions. Larry H. Krantz is a former federal prosecutor with over thirty years of trial and appellate litigation experience. He principally litigates white-collar criminal, regulatory, securities and complex commercial matters. He prides himself on representing his clients with dedication, compassion perserverence and integrity. In criminal and regulatory matters, Mr. Krantz represents corporate executives and others drawn into investigations conducted by federal and state authorities including: the United States Attorney's Offices, the District Attorney's Offices, the Securities and Exchange Commission (SEC), FINRA and various other regulators. Over the past three decades, he has been involved in many of the highest profile white-collar criminal cases and investigations including: the Madoff fraud, the subprime mortgage fraud, LIBOR manipulation, CDO fraud, insider trading at various hedge funds, the Enron fraud, and other major accounting, bank and securities frauds. In civil matters, he regularly represents public and private companies (including financial institutions and insurers), as well as individuals, in the prosecution and defense of complex business disputes including: breach of contract claims, fraud claims, securities actions, business dissolution disputes, unfair competition actions, and professional malpractice claims. He also represents individual investors, brokers and brokerage houses in FINRA arbitrations and proceedings concerning alleged broker misconduct. Mr. Krantz has successfully tried over 25 criminal and civil cases in federal courts, state courts and in arbitration forums. Mr. Krantz is a Fellow of the American College of Trial Lawyers (www.actl.com), and currently serves as the Chair of the College's Downstate New York Committe and is a Member of its National Trial Competition Committee. He has been listed in SuperLawyers since 2009 (www.superlawyers.com). He is a former Director of the New York Council of Defense Lawyers (www.nycdl.org), and currently serves as its Luncheon Chair. He is a Director of the Federal Bar Council (ex officio) and serves as the Chair of its Committee on Sentencing and Alternatives to Incarceration. He is a Member of the Joint Local Rules Committee for the Southern and Eastern Districts of New York as well as the Attorney Grievance Committee for the Southern District of New York. He is a Master in the Federal Bar Council Inn of Court and a Fellow of the Litigation Counsel of America, Trial Lawyer Honorary Society (www.trialcounsel.org). He is a Chapter author of the treatise Defending Federal Criminal Cases: Attacking the Government's Proof (Law Journal Press), and is a frequent lecturer on trial advocacy techniques. Experience: Mr. Krantz began his career as a litigation associate at an international law firm. In 1982, he left that firm to serve as a Law Clerk for the Honorable I. Leo Glasser, United States District Judge, Eastern District of New York. Following his Clerkship, from 1983-1989, Mr. Krantz served as an Assistant United States Attorney in the Criminal Division of the Eastern District of New York, where he successfully prosecuted cases involving financial fraud, arms-export violations, tax evasion, bribery, organized crime and narcotics trafficking. 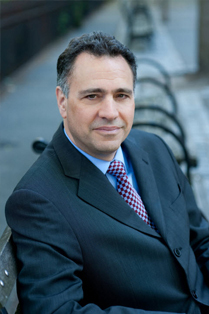 During his time at the United States Attorney's Office he received numerous awards and commendations for outstanding service, and also served as an Adjunct Instructor of Legal Writing for Brooklyn Law School. Following the United States Attorney's Office, he joined a litigation boutique that was later re-named Leventhal, Slade & Krantz. In 1998, together with Marjorie Berman, he co-founded Krantz & Berman LLP. Education: Mr. Krantz graduated from Brooklyn Law School in 1980, where he was an Editor and Member of the Brooklyn Law Review. He was also on the Dean's List. During law school he authored "Mistrial Over Defense Objection: Review Under the Double Jeopardy Clause," published at 45 Brooklyn Law Review 999 (1979). He also served as a student Law Clerk on the United States Court Court of Appeals for the Second Circuit. Bar Admissions: Mr. Krantz is admitted to practice in New York (1981), the U.S. District Courts for the Eastern District of New York (1983), Southern District of New York (1993) and District of Connecticut (1993); the U.S. Courts of Appeal for the Second Circuit (1989) and Eighth Circuit (1993); and the United States Supreme Court (1996).